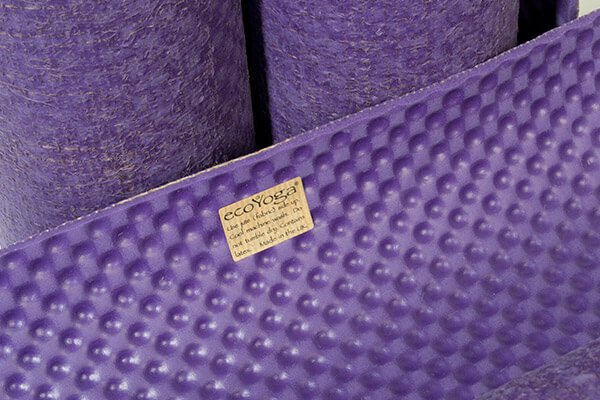 Shown here in 'Deep Lavender Purple', this is a fantastic yoga mat from EcoYoga. 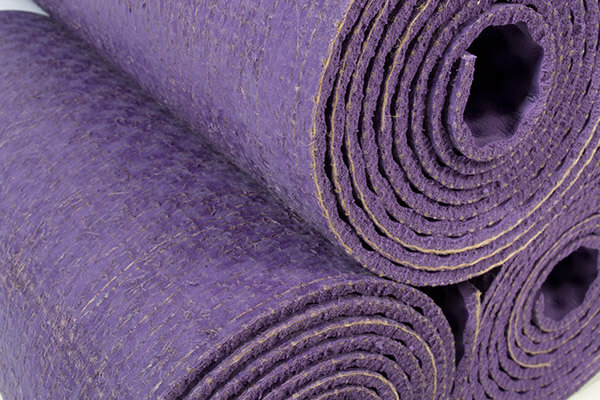 A mat which is kind to both you and the environment. Great Mat. Really grippy on the floor and beneath my feet. I feel stable and safe upon it. Wonderful colour and also importantly, natural. I love it and would really recommend. 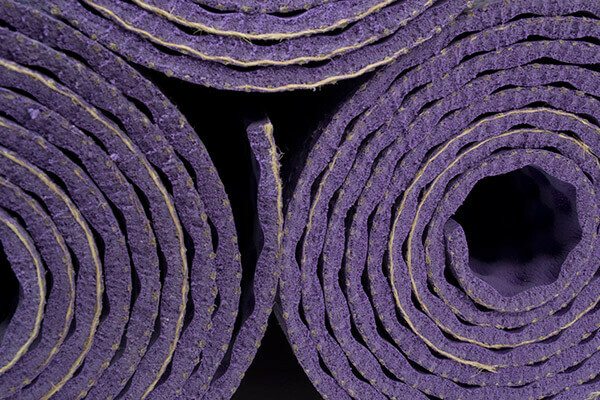 Thanks for a great mat. 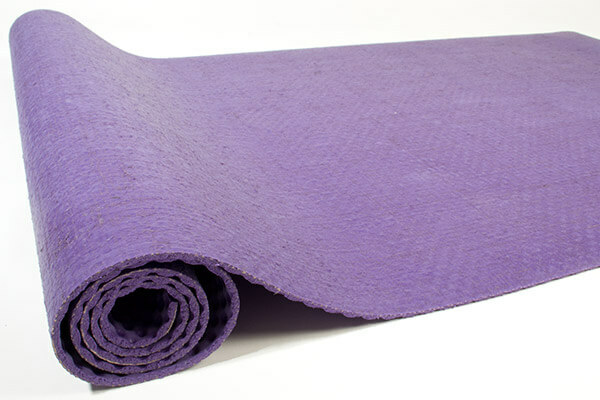 Recommended by my yoga teacher as I had problems with my hands slipping and this mat is great!! No need to buy yoga gloves now. I am delighted with my new mat and would certainly recommend it to others, especially for its green credentials. Excellent service, beautifully wrapped and a very quick delivery. 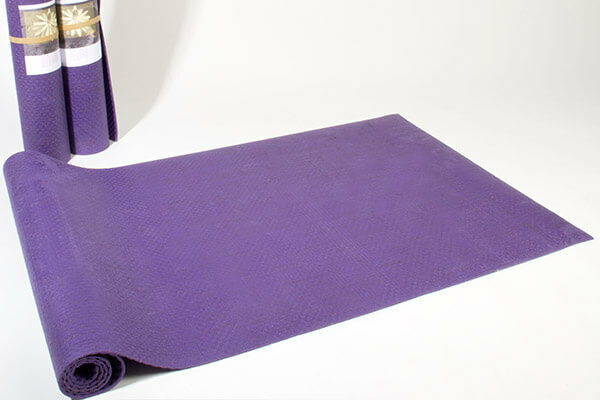 Bought yoga mat and carry strap as Christmas present for my wife. She is very pleased with both, especially the quality of the mat and that it is washable. Excellent non-slip surface. Nice and thick. Gorgeous colour. One caution - it is not very light so maybe more suited to be a static mat than one you carry round a lot. 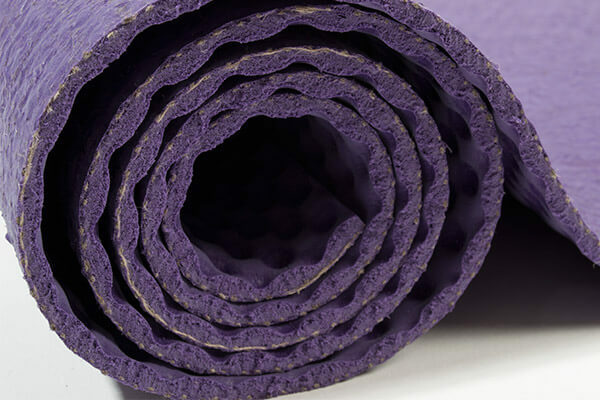 This is hands-down the best yoga mat I've ever used. I have tried many others and have found them all slippy (even the ones that say non-slip) and wore-out quickly. It's great knowing that it's made with non-toxic materials too. Would highly recommend. Good mat..a little thin for my liking but holds well on floor..I like the fact that it's eco and looks good.would recommend. 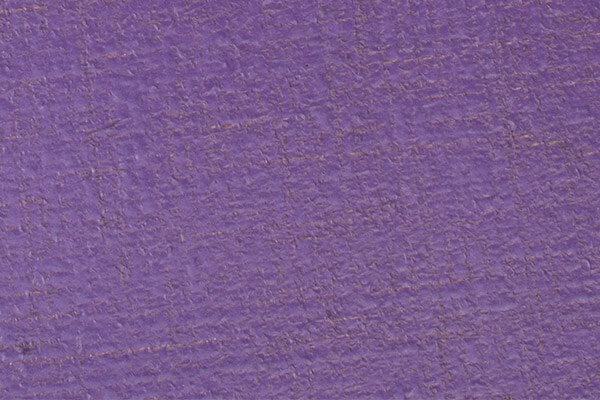 The colour is beautiful, well padded especially if doubled up for certain poses, and a good non slip texture. I had to change my delivery date and this was simple and easy to do. 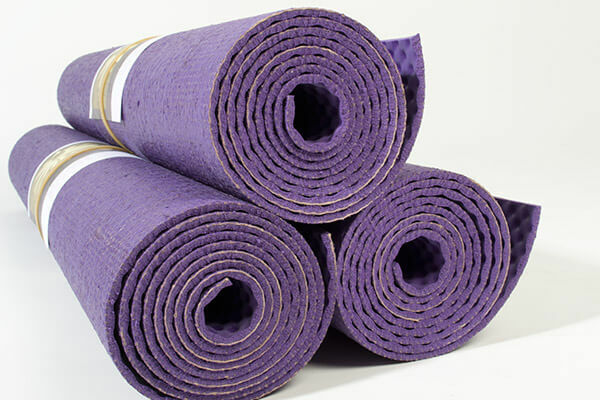 Good service from both yogabliss and courier. I would definitely recommend both this product and yogabliss to anyone. I'm very happy with this mat and the service I received. I can highly recommend the mat and the company.